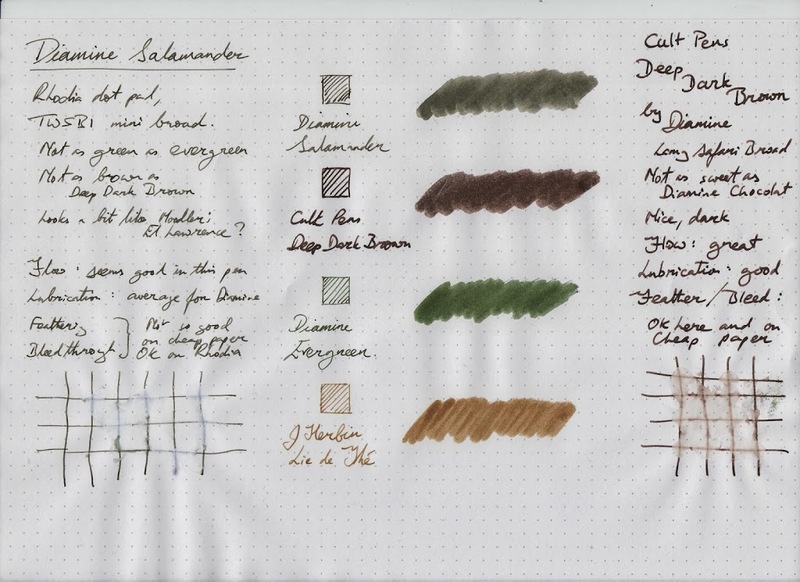 I waited months for Diamine to release Salamander, and then Cult Pens Deep Dark Brown comes along at the same time. I’d been worried that Salamander would look like my go-to Evergreen (it doesn’t). Actually it looks a bit like Noodler’s El Lawrence which I’d fancied for a while but doesn’t look like it will be imported any time soon. 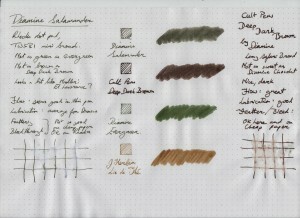 I think the Cult Pens Deep Dark Brown looks a bit like Noodler’s Walnut, too. Good to know that I’m not at the mercy of the importers and I can get what I want from Liverpool (or Tiverton).